Christmas is a time for getting together with family and friends, and is also a season for holiday vacations in which children and adults spend more time together than usual. Brain teasers are a great way to use the time to expand knowledge, think outside the box and have some competitive fun, filled with a Christmas-themed twist. Tailor games to the age group so questions are fair for everyone. Christmas songs are some of the most sung around the holiday season, and many of the classic songs receive literal picture interpretations for the “Name the Holiday Song” brain teaser. For this puzzle, players must correctly name 24 different Christmas songs using only the clues provided. Whoever completes it the fastest wins. For example, the "Deck the Halls" clue is represented by a deck of playing cards sitting in a hallway. 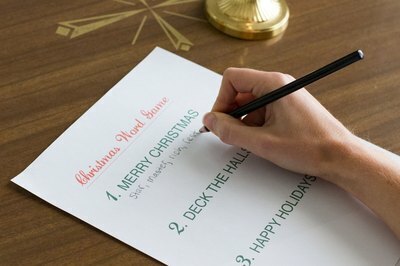 Print out a Christmas-themed word search or create one of your own. 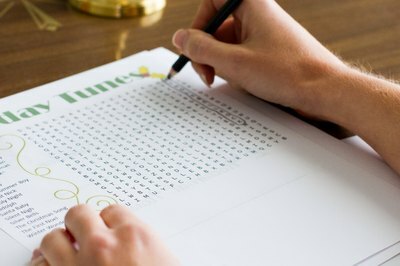 Word searches are one of the easiest puzzles to create, but solving them can take some time. Use simple Christmas-themed words such as "Santa," "stocking," "cookie," "Jesus" and others. Play the word searches by yourself or print multiple copies to create a word search race. 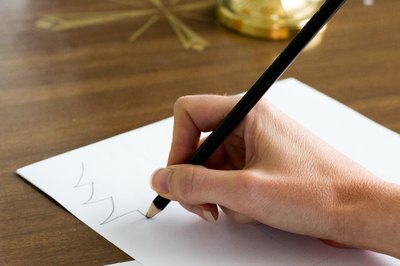 Draw a 3-by-3 grid of Christmas trees on a piece of paper. Try to draw over each of the trees by not lifting the pencil up or not repeating any of the trees. It is a simple brain teaser to solve once you solve it once, but it can be challenging when first starting. For children, have them decorate the trees first in order to add more to the activity. Use synonyms to create challenging Christmas-themed problems. The National Institute of Environmental Health Sciences Kid’s Holiday Page features more than 50 different anagrams you can use to solve. For example, a clue such as “Array the Corridor” would actually mean “Deck the Halls.” “Nocturnal Noiselessness” is actually “Silent Night.” These clues are challenging for all ages and cover many classic Christmas phrases and songs.